Support your local PBS and they’ll say “thanks” with my Ultimate Joy Food Collection! As a lifelong viewer of Public Broadcast Service (PBS), I am on a mission to help this outstanding, community-driven network thrive. PBS has played an influential role in my personal history, offering some of my favorite TV programs from early childhood (thank you, Sesame Street) to the present day (who doesn’t love to curl up with an episode of Downton Abbey?). No other network provides such enriching, educational and entertaining programs without commercial interruptions or large corporations pulling strings behind the scenes—and I believe that deserves to be celebrated every day. Unfortunately, without our support, PBS cannot continue to exist. 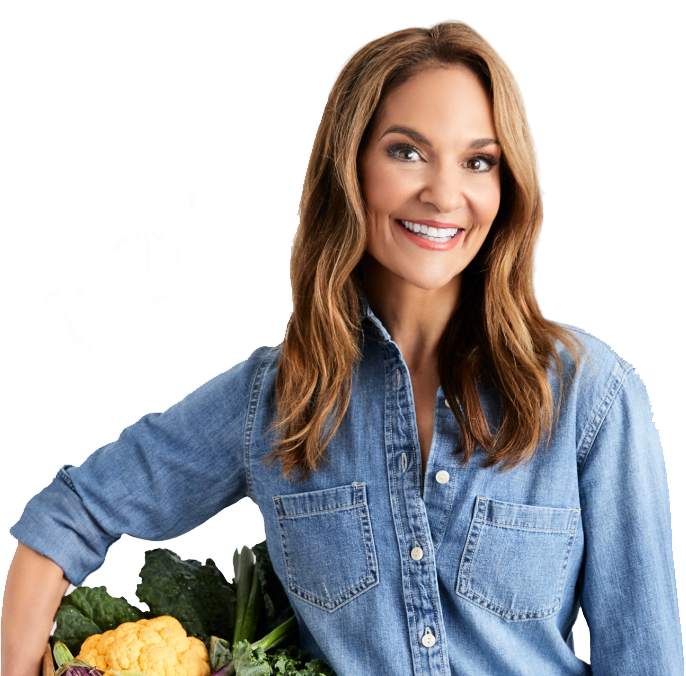 That’s why I’m so proud to announce my new PBS show, From Junk Food to Joy Food, along with a very special project I’ve been brewing to help raise money for PBS and simultaneously help you transform your lifestyle into a truly healthy one. I created a comprehensive wellness package exclusively for PBS; it comes with everything you need to lose weight, boost energy and enhance your health while eating all your favorite comfort foods—from pizza and BBQ ribs to cheesecake and chocolate milkshakes! For a limited time only, PBS will thank you for your donations by sending you my complete Joy Food Collection, which is a win-win, in my opinion: You support a nationally cherished TV network while improving the health of your family members and yourself. A series of seven DVDs, packed with kitchen tips and tricks, bonus recipes, FAQs and more! A six-month free membership to my interactive, online weight-loss program, where you’ll have access to personalized daily menus, hundreds of additional recipes, countless exercise videos, interactive tracking tools and a robust weight loss community for continuous support. Plus, live webinars with me! Don’t forget to check your local PBS listings for air times, and tune in to watch my new show, From Junk Food to Joy Food! I’ll also be making live appearances in the following cities and states. The links are below if you’d like to learn more. Saturday 3/5/16 – PBA30 in Atlanta, Georgia at 7:00 pm. Learn more. Monday 3/7/16 – TPT in Saint Paul, Minnesota. Learn more. Wednesday 3/9/16 – PBS SoCal in Costa Mesa, California. Learn more. Thursday 3/10/16 – WEDU in Tampa, Florida at 8:00 pm. Learn more. Friday 3/11/16 – KCPT in Kansas City, Missouri at 8:30 pm. Learn more. Saturday 3/12/16 – AETN in Conway, Arkansas at 3:00 pm. Learn more. Thursday 3/17/16 – WCPN in Fairfield, Connecticut. Learn more. Friday 3/18/16 – Georgia Public Broadcasting in Atlanta, Georgia at 7:00 pm. Learn more. Monday 3/21/16 – WNED in Buffalo, New York at 8:00 pm. Learn more.